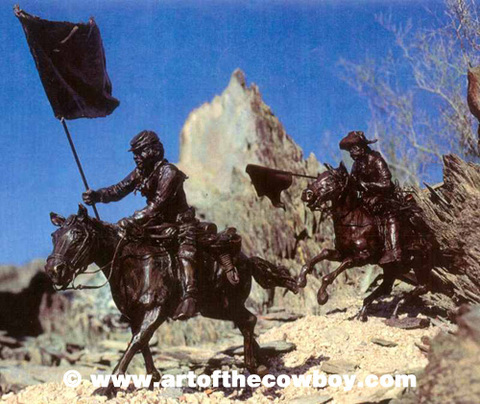 Both of these detailed bronzes are included in the U.S. Cavalry series. Collectors have enjoyed the action, as well as the authentic research of the pieces. Photo: Freedom’s Foundation [left]; On to Glory [right].